October 1st sees the arrival of the full-length début from ELEKTRIK WARFARE, ‘Silent Kings And Queens‘, via Overlook Hotel Records. ELEKTRIK WARFARE is a band for the modern age of heavy metal, whose members are located in different countries, on different continents, but who use technology well. The band was birthed over the musician’s shared love of metal and heavy rock music, and that fact shines through in the 10 tracks on this album. On them, this quintet – vocalist Anders Plassgard, guitarists Tony Inosencio (Crypt) and Mat Williams, bassist Frank Motör, and drummer Kevin Hartnell (THAL, wytCHord) – delve deep into their combined influences and musical passions. What results is an audio offering that traverses a range of styles, for instance, the driving, voracious heavy metal like that found on the title track, “Silent Kings And Queens“, “Black“, “Deaf And Blind“, or the smoldering “The End“. Other tracks possess undeniable elements of the influences I mentioned above, ones like Black Sabbath and Deep Purple (“The Conclusion“), Ramones (“Zombie Stomp“), or the melding of Alice Cooper and Type O Negative (“Evil“). Yes, diversity and scope are presented in a multitude of ways here, and what results is a hard hitting album with a wide range of appeal. And, what would any TRUE heavy metal album be without an homage to Motörhead’s Lemmy Kilmister? Here, you get it the form of the phenomenal “All Hail The King“! 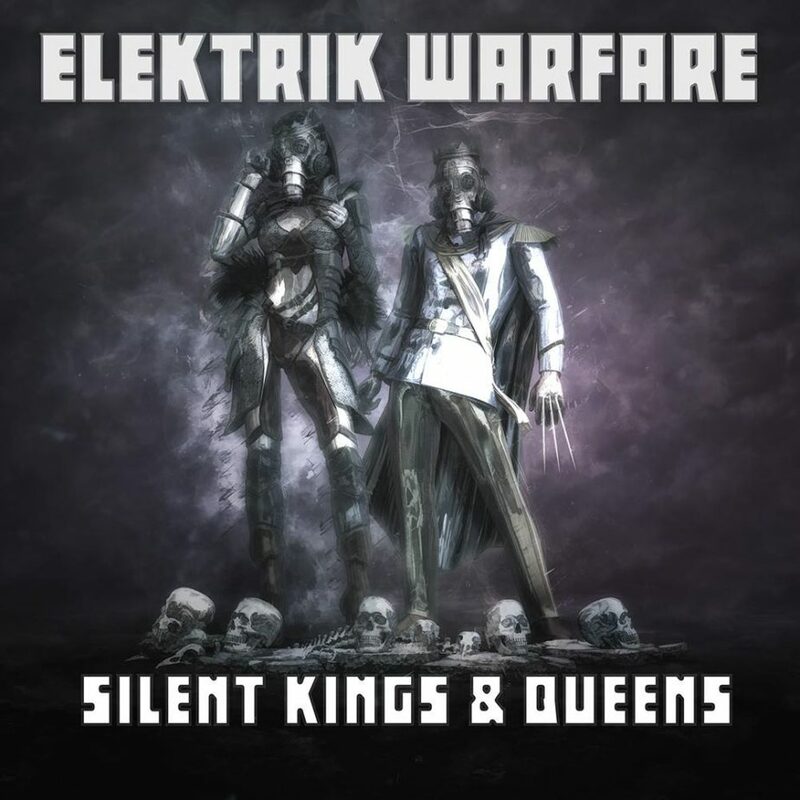 Riff Relevant is thrilled to present the exclusive première of the “Silent Kings And Queens” title track’s promotional video from ELEKTRIK WARFARE! You can pre-order / purchase the album at Bandcamp [HERE] as well as iTunes, Spotify, and other usual platforms.